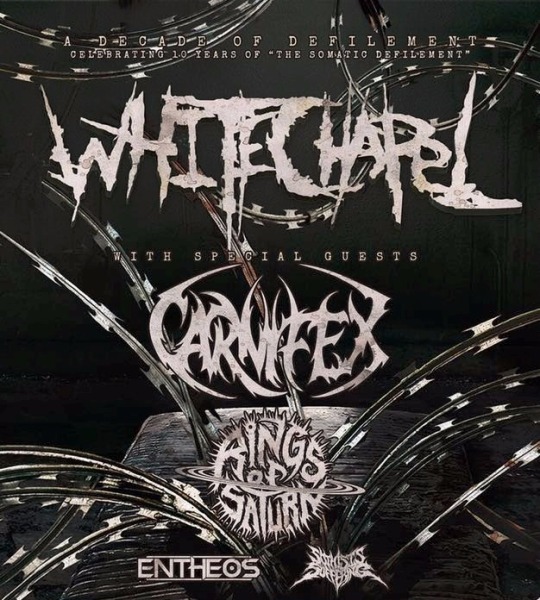 To help celebrate “A Decade Of Defilement,” former Noise Presents headliners Whitechapel have just announced a massive 10-year anniversary tour for their debut album The Somatic Defilement. 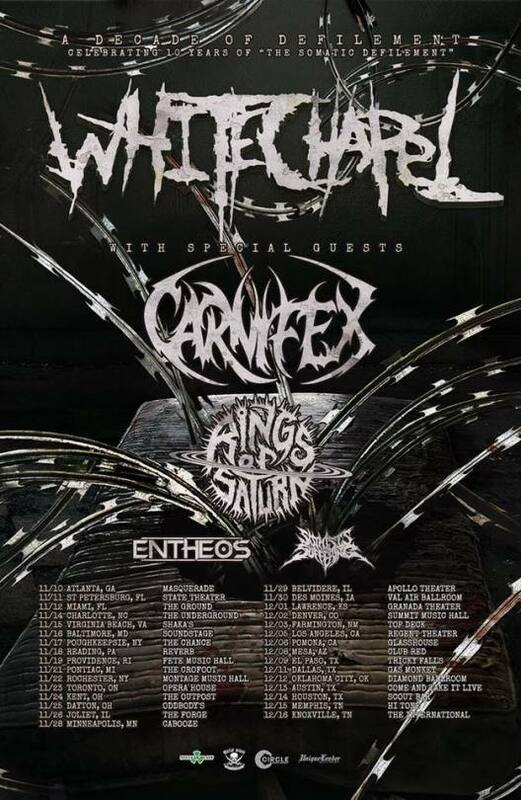 Featuring Carnifex, Rings Of Saturn, Entheos and So This Is Suffering as support, Whitechapel’s fall headlining tour will kick off November 10th in Atlanta, GA and wrap up December 16th in the band’s hometown of Knoxville, TN. In addition to the tour, Whitechapel has also revealed that for the first time ever they will be releasing The Somatic Defilement on vinyl via Metalblade Records September 15th. To check out tour dates for the band’s upcoming run, be sure to look below. 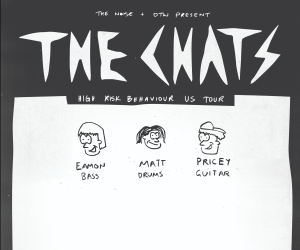 To purchase tickets once they become available this Friday, head here.